we've all had that one workout where we just feel like quitting 10 minutes into the session. Our head hurts, our energy levels are down, and five pounds feels like 500 pounds. it's just one of those days. But, is just "one of those days," turning into more than just one day a week? Are you finding yourself only having one or two strong, optimal workouts per week? If so, then you may not be preparing your body and mind properly for your daily training session. If that's the case then it's time to take a look at your daily rituals and re-evaluate the steps you are taking each day to create a better you. With these 5 optimal tips in hand, you can restructure your day- to-day routine and make each training session the best it can be. Marc Lobliner discusses how you should eat if you are training first thing in the morning. Picking the best time of the day to train could be the difference between you having optimal workouts and terrible workouts, which is why you need to pick a time that works best with your schedule. If you find yourself feeling fatigued and tired when training after a full day of work then train before work. If you just don't have the energy you need to train early in the morning then wait until the afternoon and train at your peak. Everyone's optimal training time will be different. Whether it's in the morning, during your lunch hour, or later in the day, choosing a time of the day when your energy levels are at their highest will allow you to have a better, more productive training session. Learning how and what supplements can assist you in your training can help push and keep your training at an optimum level. A supplement such as caffeine and pre-workout blends can assist in giving you energy before starting your workout. Branch Chained Amino Acids (BCAA's) during your workout can assist in staving off fatigue so you can continue training at an optimal level. A simple multi-vitamin can help you be sure you're getting your daily dose of essential vitamins and minerals to keep your energy levels up and steady throughout the day. These are just a few examples of some supplements that can assist you in reaching your optimum performance levels. 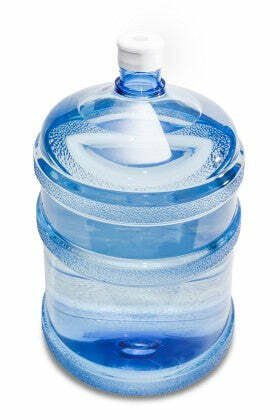 One of the simplest things to do, yet one of the hardest for many of us is consuming enough water throughout our day. If you are feeling fatigued midway through your workout think about the amount of water you've had for the day and how much you've consumed since the beginning of your workout. Forgetting to drink water and track the amount you have consumed throughout the day can have a severe impact on your training and performance in the gym. So, if you have a tough time tracking your water throughout the day make it a point to drink 2-3 glasses of water immediately upon wake up each morning. Then, do your best to drink your regular water throughout the day so when it comes time to training your body will be properly energized and hydrated for an optimal training session. Sleep is an extremely important aspect of training and recovery that constantly gets overlooked. Getting enough sleep allows your body to recover and will provide you the energy needed to power through a strenuous workout. If you have not fully recovered and recharged your body through a good night of sleep, you are putting your body in a position to fail and fatigue faster than normal. Sleep is crucial to keeping your daily energy levels at an optimum level both in life and in the gym. Nightcap: Drinking hot herbal tea or taking a sleep supplement, such as NOW Foods ZMA or RCSS Resurrect, approximately an hour before bed time can help you get to bed faster and sleep steady through the night. Turn Everything Off: Approximately 30 minutes to an hour before bedtime turn off the TV, the computer, your social media, and even the lights. Get in bed and listen to a podcast or read a book by a low-dim bedside lamp so that your mind is preparing itself for sleep. Being properly fueled before your workout can have a significant impact on your performance in the gym. Fueling yourself with a moderate amount of carbohydrates and protein 45-60 minutes before your training session help keep your energy and strength levels at an optimal level throughout your workout. By providing energy to your body through replenishing the glycogen in your body, some pre-workout carbohydrates can help spur more recovery, repair, and growth within your muscles. With these tips in hand you can keep your energy levels up and crush your workout every time you step foot in the gym. Each training session should be at your optimal training level, so why not prepare your body to perform at its best? For more health and fitness tips subscribe to the MuscleMinds Youtube channel and follow me on Instagram @thebrentness.